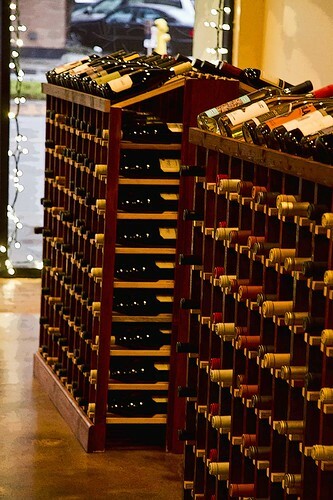 Downey Daily Photos: A wine bar in Downey! A couple of days ago I visited Mari's wine bar. I had been meaning to stop in for the past couple of weeks, and I finally made it! Just across the street from Porto's, Mari's is a casual, yet elegant setting to hang out with friends over a nice glass of wine. The owners, Mari and Anthony, are down to earth and enjoy their new business. I was glad to find a new place to enjoy in our town. Greece in general boasts an extensive roster of popular wines that features classic wines from Nemea, Pelopponese and other famous regions in the southern part of the country. These wonderful wines feature grapes grown in salty seaside air on mountain slopes. The best Greek wines are made of different Greek grape varieties such as mavrodaphne, moschofilero, agiorgitiko, assyrtiko, moscato and xinomavro and you can sample them in restaurants like Niko’s where the management goes to the trouble of collecting the very best Greek Wines possible. I have some of wine list westchester has.